Boulangerie queues that snake down the street are fast disappearing. Bread consumption is down and the French are fighting back with 7,000 billboards across the country, a Facebook page, bread bags that read “Hi there, have you had your bread?” and selling points targeting families: “Remember that taking fresh bread on the way home is a simple way to show his family that we thought of them during the day and make them happy.” Young adults are some of the culprits with their tendencies to skip breakfast, preference for cereal and then there are those glucose interolence folks showing up everywhere. 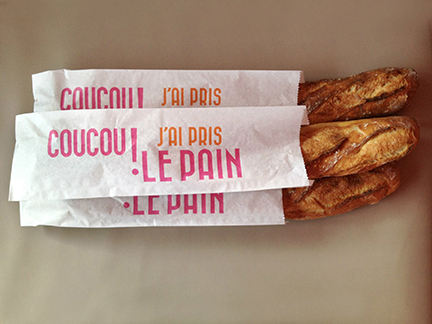 Statistics show over the past decade young adults consume 28% less bread and adult numbers are down 10% (half a baguette a day). 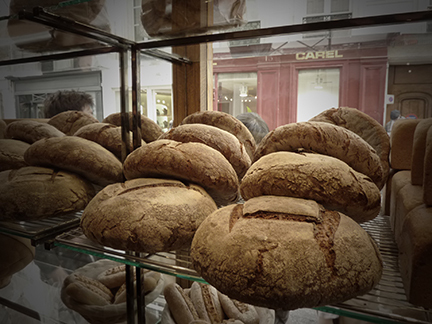 But not to worry, almost 98 per cent of French continue to eat bread in some form every day, and the vast majority buy it from the country’s 26,000 boulangeries, where the range of choice has never been greater.